FK chats to Maggie of Orange based label postpress, who will be debuting at the upcoming Sydney Markets! Tell us a bit about postpress and what products we can expect to discover? 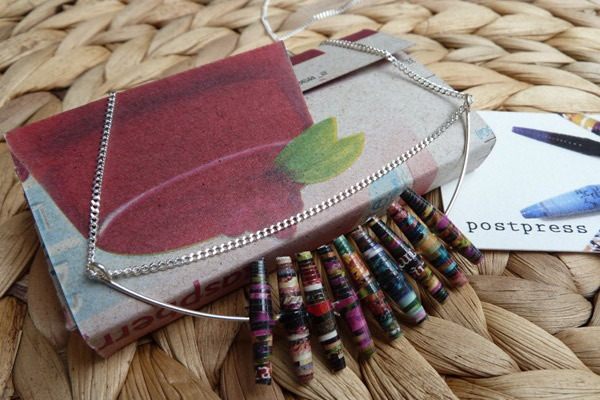 postpress is a collection of jewellery that’s centred on the reuse of print media. 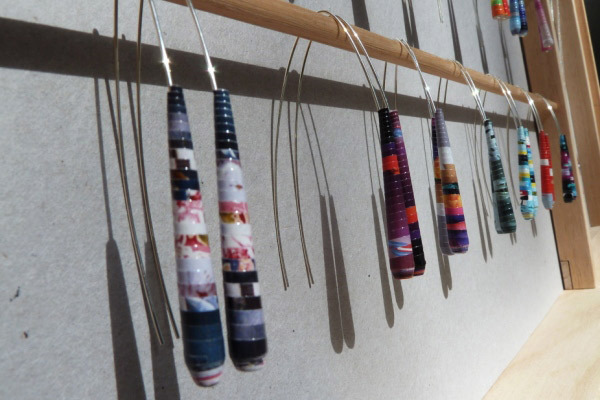 Hand-crafted paper beads and forms are combined with sterling silver to create classic, unique jewellery. 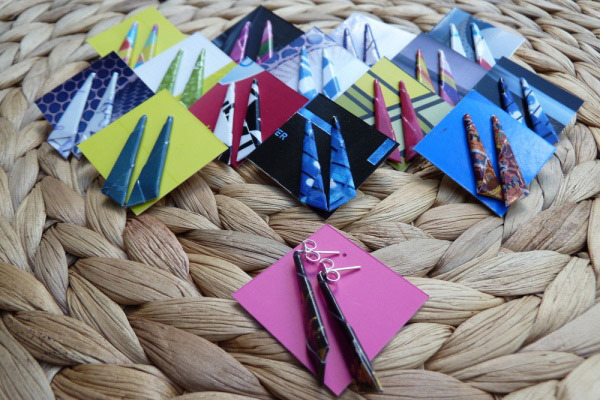 The current collection includes earrings and necklaces, and I’m furiously working on some new designs that I hope to share with you at Sydney Finders Keepers! 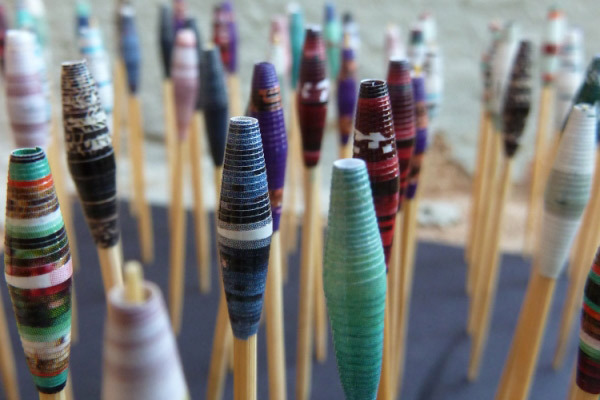 My background is in Interior Design, but I’ve been making paper beads on and off since I was first taught the basic method sometime back in primary school, so it’s been with me a very long time. 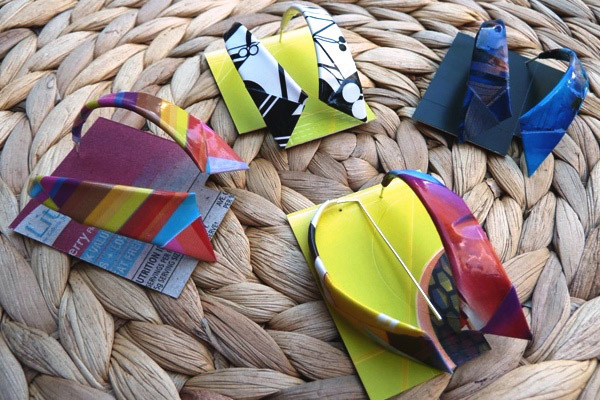 I’ve always loved working with paper – I’ll spend hours and hours making origami decorations, gift boxes and customised 3D gift cards… just hand me a piece of paper and I’ll find a way to keep myself happy! I love the tactility of making by hand, selecting which papers to work with, visualising how the cut paper will transform when it’s rolled or folded, and seeing the final piece once it’s finished. I’m quite often surprised by the results! The process itself is very calming and once I get into a rhythm there’s something almost meditative about the process. Experimenting with forms, colours and methods keeps me motivated. I’ve been making my basic beads for a long time, so I find that I need to change at least one element of the process regularly to keep ideas and inspiration flowing. Whether that’s creating a new bead shape or playing with a different method or form, I find that sometimes a tiny change is enough to create a spark. Jewellery is very personal. The idea that someone out there will love a piece that I’ve made keeps me inspired to create. What do you love about living in Orange? I grew up in the country, and after 10 years in Sydney, I’ve been living in Orange just over a year. My favourite thing about living here is the distinct seasons, especially Autumn. We’re smack bang in the middle of it now, and I couldn’t think of a more beautiful place to be. Just walking along the streets you’ll get every colour from greens through yellows, oranges and reds, often in the one tree! And then there’s the piles upon piles of crispy, brown leaves crunching underfoot. There’s also a fantastic food and wine culture here. I love that some of my favourite wines are made by my neighbours, and a weekend wine tour here is the perfect way to lure friends from the city! Where do you source materials for your range? And are there challenges in doing so? I’m a magazine hoarder. I can never bring myself to put them in the recycling after I finish reading them, so often they’ll end up languishing on a bookshelf, looking beautiful but untouched. I’m currently working through papers from some of my old design magazines. I have an ever growing pile of magazine donations from friends and family, so the challenge is becoming more about storing that sourcing! 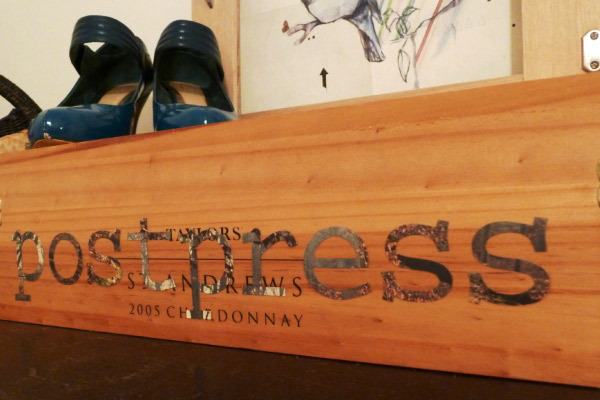 What can we expect to see from postpress at the upcoming Sydney, Finders Keepers A/W Markets? 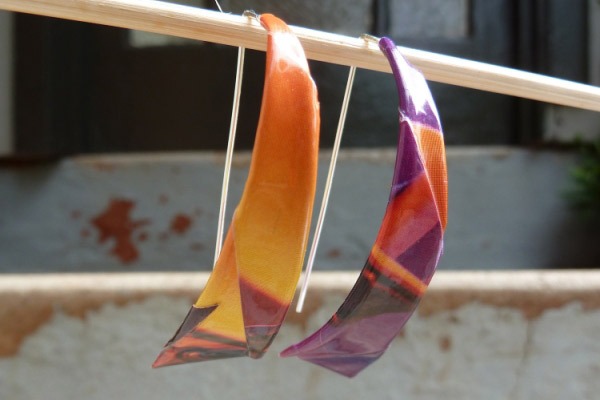 I’ll have a range of earrings and necklaces, some very simple or subtle, others more elaborate or bold. 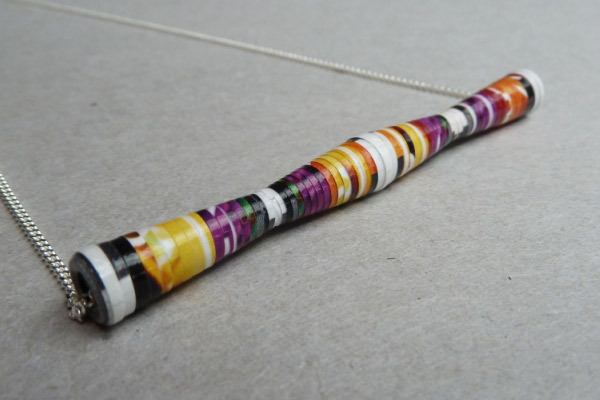 Each bead or form I make is completely unique, so expect to see something different in each piece! I also hand make all the gift boxes and earring cards from recycled packaging, magazine covers and photographs, so each piece has its own unique home.